"Many times, soldiers on the front lines admitted they couldn’t understand the ISIS fighters. They spoke different languages. Troops reported chatter in what they thought was Russian, Turkish and an Eastern language they couldn’t identify. One of the soldiers from the Najaf battalion, Rami, said that he was ethnically Turkmen and that sometimes he could understand the Turkish ISIS fighters. But when he approached the house later, he found her identification. She had a German name on a German ID card. He also found a marriage certificate, issued by ISIS. She was married to a Russian fighter. What they left behind was a marriage that would never be recognized anywhere else. ISIS created its own system, its own contracts, records that are meaningless to a world that would never recognize the Islamic State." --Ash Gallagher, "Amid the rubble of Mosul, bitter memories and the stench of death", Yahoo News, (14 July 2017). "Kadyrov, a former rebel who switched his loyalties to Moscow, has been the dominant figure there since the 2004 assassination of his president father, Akhmad Kadyrov. Kadyrov's security forces have been widely accused of extensive human-rights abuses including abductions and killings in Chechnya. A former officer of his security forces has been convicted of the 2015 assassination of Russian opposition leader Boris Nemtsov." --"Chechen leader invokes damnation for gay persecution claims", Associated Press, (15 July 2017). 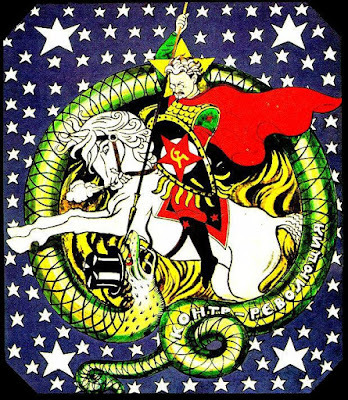 On the famous Serbian icon St. George is slaying the dragon, and here St. Putin is killing Obama! One of the archangels one of the chief princes; (Dan. x. 13), who is also represented as the tutelary prince of Israel (ib. x. 21, xii. 1). The signification of the name (= 'Who is like El'?) was recognized by the Talmudists, who found an allusion to it in Ex. xv. 11 ([Hebrew deleted]) and in Deut. xxxiii. 26 ([Hebrew deleted]), combining the first word of the former passage with the second of the latter (Num. R. ii. 9). According to Simeon b. Lakish, however, the names of the angels were brought by the Jews from Babylon (Yer. R. H. 54d; Gen. R. xlviii. 9). Upon the basis of the above-cited passages from the Book of Daniel (where Michael is represented first as helping Daniel in his dispute with the angel of Persia and then as helping Israel in time of trouble—that is, in the Messianic time—and where he is styled 'your prince') Michael is specially designated in early Jewish writings and very frequently in the Book of Enoch as 'the prince of Israel' ([Hebrew deleted]), and in later Jewish writings, particularly in cabalistic works, as 'the advocate of the Jews.' It is for this reason that he is represented as the angel of forbearance and mercy (Enoch, xl. 3) who taught Enoch the mysteries of clemency and justice (ib. lxxi. 2)." "White-Cain and other leaders have 'laid hands' on Trump before — in 2015, a similar ceremony was held in Trump Tower, including a Hebrew blessing from a Messianic televangelist." The Christian zionists will no doubt support communist KGB Putin's globalist war on terror. This is all deliberately done in artificial fulfilment of jewish messianic prophecy. The same voices in the libertarian and Alt-Right media who have opposed the global war on terror since 9/11, now embrace it under the directorship of globalist Vladimir Putin. It was Putin, not Bush, who created the globalist war on terror in 1999. It was Putin's false flag terrorism scapegoating the Chechens for Russian terrorism against Russians, which was used as the initial pretext for the globalist war on terror two years almost to the day before 9/11. And it was Putin, not Bush, who first demanded a global alliance led by Russia against Islamic terrorism. I have often wondered why communists, anti-zionists, White Nationalists and libertarians spend so much time obsessing about the JFK assassination. The dots connect to a prolonged campaign to scapegoat the CIA for this KGB and Israeli crime. They also want to pit Americans against our own government and demoralize us so that we destroy our own intelligence agencies and turn to the KGB for our information. 1.) Reduce our military expenditures. 2.) Hate, hamstring and distrust our own government and intelligence agencies and shut them down, and that failing disbelieve and resist all they do, say and recommend (viz. Donald Trump's communistic attacks on our intelligence agencies). 3.) Resist any wars against communists. The communists portray Kennedy as if a communist martyr and claim that the CIA murdered him because he sought to block the Vietnam War and wanted to rein in the CIA. But would Americans in the CIA assassinate the President just to keep their job security? Would they risk the ultimate humiliation of being exposed as treasonous murderers and potential execution for the sake of their meager pay checks? How could the numbers of Americans needed to cover up the murder and participate in it be found among the CIA? This is very different from 9/11 where the zionist President himself sponsored the attack for the benefit of the Trotskyites, Israel and Russia, and benefitted from it. The Kennedy assassination was an attack on the President, not for the President. Compare those unrealistic motives to the real motives the KGB had to kill Kennedy. Kennedy blockaded Cuba and humiliated Nikita Khrushchev. The KGB has several motives to shift the blame from communist traitor Lee Harvey Oswald to the CIA. For example, by scapegoating the CIA, they paint themselves as the victim of their crime against the USA. Jewish communist Mark Lane set forth the theory that the CIA killed Kennedy. Lane was a communist and a lawyer for suicide cult leader Jim Jones. Lane wanted to move the cult from Guyana to the Soviet Union. 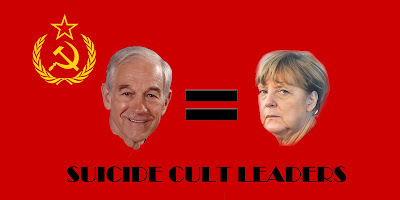 He was with the Jones cult before, during and after the mass suicide. Lane's associates tried to pin the blame for this communist cult on the CIA, pointing out that Lane had served in Army intelligence in WW II. Lane clearly flipped or was always an agent of communism. Lane financed and led Vietnam War protest movements, which benefitted the communists. Lane was also a lawyer for Liberty Lobby. Lane's career matches those of other Kennedy assassination theorists in several key ways. 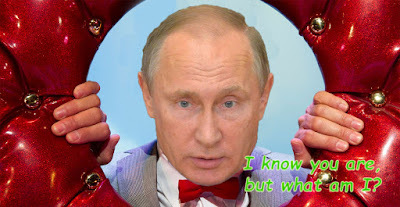 "9/11 inside job 'impossible to conceal,' says Vladimir Putin", RT, (2 August 2011). Putin apologist Oliver Stone produced a film that advanced JFK assassination conspiracy theories. Stones has produced three films attacking the Vietnam War. He has also made a movie supporting the left in Latin America and attacking the right. Like Piper, Stone supported Chavez, Iran and Barack Obama. Stone also supports KGB Wikileaks and the KGB narrative on Putin's invasion of the Ukraine. He made three films about communist dictator Fidel Castro. 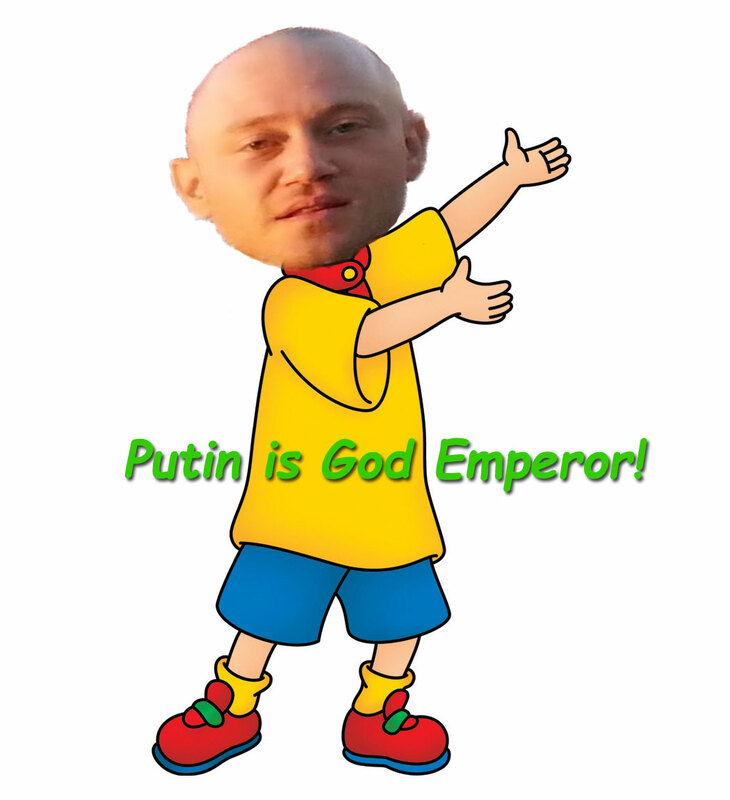 Brandon has again provided me with substantive proof, and it reveals that Putin and the Trotskyite Neocons are together creating the world army sought by the first Prime Minister of Israel David Ben-Gurion. "With the exception of the USSR as a federated Eurasian state, all other continents will become united in a world alliance, at whose disposal will be an international police force. All armies will be abolished, and there will be no more wars. In Jerusalem, the United Nations (a truly United Nations) will build a Shrine of the Prophets to serve the federated union of all continents; this will be the seat of the Supreme Court of Mankind, to settle all controversies among the federated continents, as prophesied by Isaiah." --Look Magazine, (16 January 1962), p. 20. "2 And it shall come to pass in the last days, that the mountain of the Lord's house shall be established in the top of the mountains, and shall be exalted above the hills; and all nations shall flow unto it. 4 And he shall judge among the nations, and shall rebuke many people: and they shall beat their swords into plowshares, and their spears into pruninghooks: nation shall not lift up sword against nation, neither shall they learn war any more." "President Putin has said Russia 'needs no proof of the guilt of Bin Laden' in the 11 September attacks on New York and Washington. [***] He said the fight against terrorism would only be effective 'if we unite the efforts of the entire international community'. Mr Putin said Russia was ready to work closely with the West by 'profoundly' changing its relations with Nato and the European Union's military bodies. [***] The Russian president criticised Saudi Arabia for refusing to let the US launch attacks against Afghanistan from bases on its territory. 'It's not a question of soldiers preparing strikes against Muslims but rather of soldiers preparing strikes against terrorists,' he said. "–"Russia stands by West in war on terror", BBC, (3 October 2001). 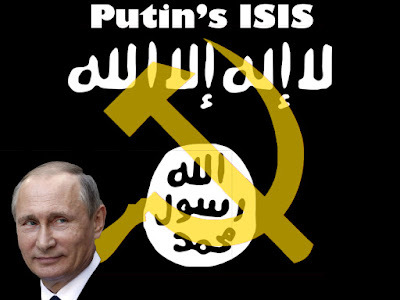 "'I can confirm that after the events of September 11, 2001, and up to the military operation in Iraq, Russian special services and Russian intelligence several times received ... information that official organs of Saddam's regime were preparing terrorist acts on the territory of the United States and beyond its borders, at U.S. military and civilian locations,' Putin said." --"Putin: Russia warned U.S. of Iraq terror", CNN, (18 June 2004). 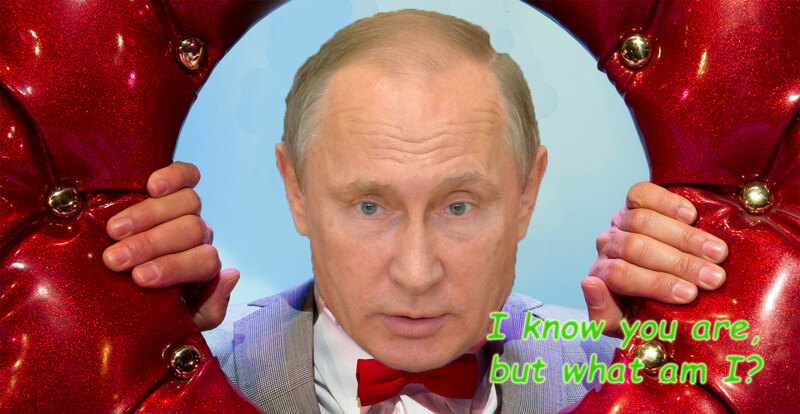 Putin's KGB are trying to demoralize Americans and destabilize the US with the old KGB tactic of turning the people against their own government and media. The KGB wants to make it impossible for Americans to make rational choices about our future and render us unable to understand that Russia is our mortal enemy and is trying to destroy our society. The KGB controls the Alt-Right and the libertarians and engineers the words their mouthpieces parrot in a cacophonous chorus relentlessly bashing America and the West. They concurrently refuse to apply the same standards to Russia, Red China, North Korea, Iran or Putin. Their hypocrisy and double standards are obvious to any rational person willing to examine them. But the demoralized masses who occupy their audience are becomming increasingly incapable of rational and critical independent thought. They have turned into zombie-like cult members whose sole purpose is to rally around their "god emperor" Putin. Both Trump, Sr. and Trump, Jr. have now confessed that there was contact between the Trump campaign with the Russians to gain dirt on Hillary Clinton. President Trump has now acknowledged that the Russians did hack during the election to benefit Trump. They have acknowledged that these things are true, but the Putin Suicide Cultists cannot register, let alone acknowledge, these proven facts admitted by all relevant parties. The KGB has successfully demoralized them to the point where facts and logic cannot be processed in their brainwashed brains. Fox News falsely reported that Comey had leaked classified information. They retracted the story. Did President Trump, or Putin's Suicide Cult, accuse them of providing "fake news"? Trump retweeted the story. Comey did leak information. That is bad. The Fox News false embellishment does not change that proven and admitted fact. A rational person can analyze the facts from that perspective. But the Putin cultists can not apply this standard to the lies the Putin trolls constantly spoon feed them. The only two Senators who opposed this bill were Marxist Jew Bernie Sanders and libertarian crypto-communist Rand Paul. The first and only time NATO has invoked Article 5 was after the false flag attacks of 9/11, when the Trotskyite Neocons who controlled Washington scapegoated the Saudis for the terrorism they together with Israel had committed, and led NATO to a self consuming war against Russia's arch enemy Afghanistan. NATO was formed to defend us against the Russians. Why was it that Article 5 was invoked for the first and only time to fight Russia and Israel's enemy Afghanistan? Clearly, the jewish Trotskyites were advancing the interests of communist Russia and zionist Israel against the NATO member states, by placing us in a self defeating fight for Russia against Afghanistan. Russia had occupied and fought against Afghanistan from 1979 to 1989. I discussed these facts in my book Putin's Reign of Terror the Permanent Revolution in Our Time and related interviews. Barbara Slavin, "Iran helped overthrow Taliban, candidate says", USA TODAY, 6/9/2005. It is important to note that Putin declared that it would have been impossible for Russia to have reinvaded Afghanistan at that time, implying that America was there to do his dirty work. I can attest to the fact that many Alt-Righters have tried to portray Putin as if a new St. George slaying the West. As I have said, these total fascists love bolshevik iconography. 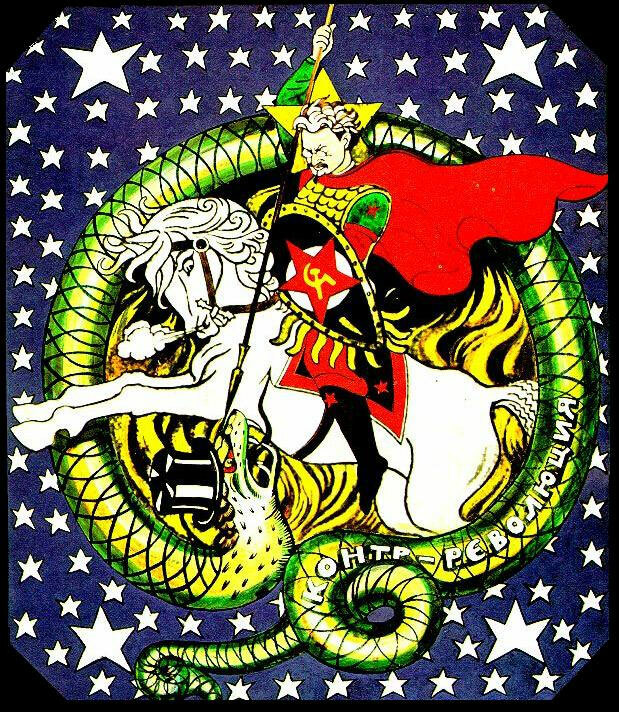 They are merely regurgitating the old bolshevik propaganda that depicted Trotsky as if St. George the dragon slayer murdering counter-revolutionaries. It indicates their message is being crafted in Moscow and spoon fed to them. Ashley Parker and David E. Sanger, "Donald Trump Calls on Russia to Find Hillary Clinton’s Missing Emails", The New York Times, (27 July 2016). "Russia, , if you're listening, I hope you're able to find the 30,000 emails that are missing. I think you will probably be rewarded mightily by our press. Let's see if that happens. That'll be next." When Trump, Sr. issued that request to the Russians, Donald Trump, Jr. had already met with a Russian lawyer tied to the Kremlin on 9 June 2016 hoping to obtain dirt on Hillary Clinton, as he, himself, has now publicly admitted. Not only did Trump, Jr. meet with the this Russian lawyer proffering Clinton dirt, Trump campaign manager Paul Manafort and Trump, Senior's son in law Jared Kushner also attended the meeting. But Trump, Jr. was befuddled by the accusation that Russia was funding Clinton and the Democratic National Committee. Did he know that Russians were backing his father, and found it confusing that they might have double crossed Trump, Sr. by backing not only him, but Clinton, as well? Did he fear that the Democrats and the Clinton campaign had received dirt on Trump collusion with the Russians, just as he expected to receive dirt on them? "We had a meeting in June 2016. After pleasantries were exchanged, the woman stated that she had information that individuals connected to Russia were funding the Democratic National Committee and supporting Ms. Clinton. Her statements were vague, ambiguous and made no sense. No details or supporting information was provided or even offered. "–Donald Trump, Jr. as quoted by Jessica Taylor , "Trump Son Admits To Meeting Russian Lawyer With Offer Of 'Helpful' Info For Campaign", NPR, (9 July 2017). Jo Becker, Matt Apuzzo and Adam Goldman "Trump's Son Met With Russian Lawyer After Being Promised Damaging Information on Clinton", The New York Times, (9 July 2017). Trump, Jr. then went on to state that the offer had been made as bait to lure him into a conversation about "the adoption of Russian children and mentioned the Magnitsky Act" which sanctions certain Russians. Was this a quid pro quo offer, whereby the Trumps would be given dirt on Clinton in exchange for dropping sanctions on the Russians? Were they worried some similar offer had been given to Clinton? Is that why it made no sense, that the Russian were playing both sides? Or, as is more likely, were the Russians showing the Trumps what they could do to the Trumps if they did not lift sanctions, by giving an example of how they could hurt Clinton if she had done what they had done, and thereby warned the Trumps what would happen to them if they did not play along? Trump, Jr. ought to explain why the offer made no sense to him, so that there is no need to speculate on the matter. Could he have been confused that the Russians were sponsoring Trump and Clinton, and would have found it hard to believe, unless it was a set up to defeat Clinton in favor of Trump by exposing her as a Russian puppet, but not Trump? Or was it a subtle threat demonstrating what they could do to Trump by pretending to do it to Clinton? He has the opportunity to explain exactly what he meant when he stated that the lawyer's words made no sense. Is This Why Trump Wants Our Voter Registration Data? Is this the reason why?